A s previously reported Mythras is the new re-branded name of RuneQuest 6 (seeing the trademarked name reverts back to owners Chaosium in July). 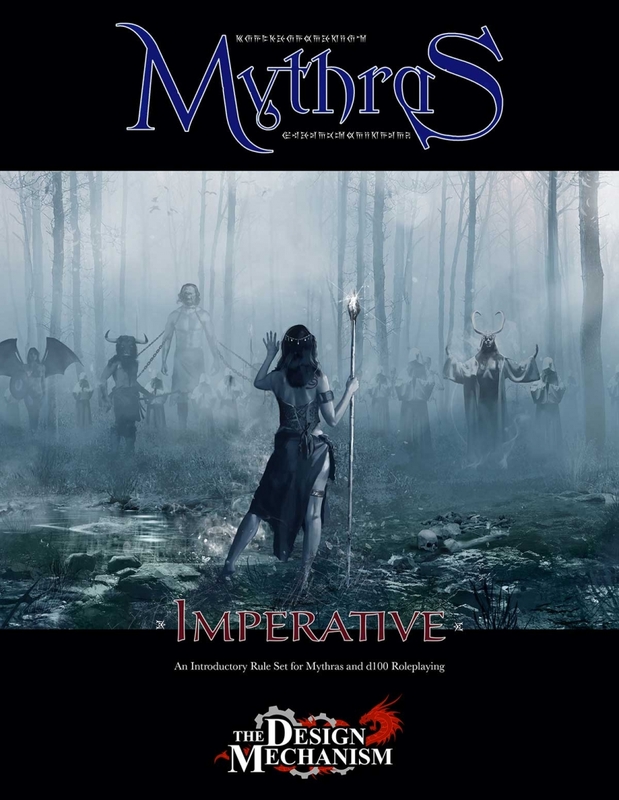 Its publishers The Design Mechanism aren’t hanging about and have released a concise/compact 32 version named Mythras Imperative, as a free pdf. An introduction to the full Mythras rules system, and d100 gaming in general, Mythras Imperative gives you everything you need, in one slim-line volume, for worlds of adventure!Mythras Imperative is a generic roleplaying game system covering ancient, modern and futuristic eras. It includes rules for character creation, skills, spot rules, combat and sample creatures to get you started. This entry was posted in Mythras by Newt. Bookmark the permalink.